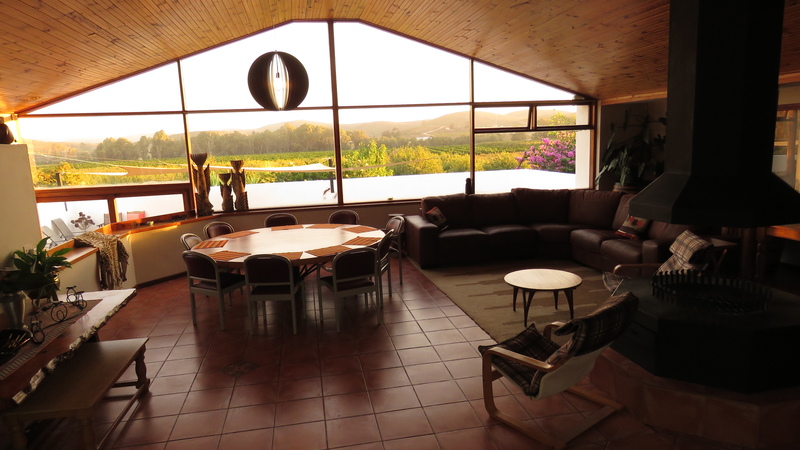 Luxury self catering house on a fruit farm. 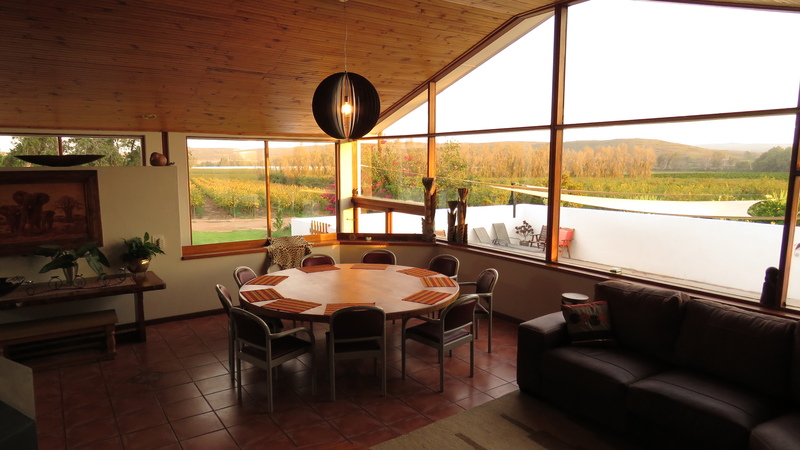 Within walking distance of the Breede River. Only 40 km from Robertson, Montagu or Swellendam. Huge garden with enclosed swimming pool. Fire pit and childrens paly area. Panorama entertainment room with fully equipped kitchen, fireplace and underfloor heating. En suite rooms with patios. Merwenstein, Self catering for groups. can sleep maximum of 15 guests. Meals can be supplied. Rooms are en suite and twin bedded. Some rooms are annexed as family rooms. Rooms have private entrances to patios leading into the garden. Fire pit in the garden with childrens play area and trampoline. Big swimming pool with walled enclosure for safety and wind protection. 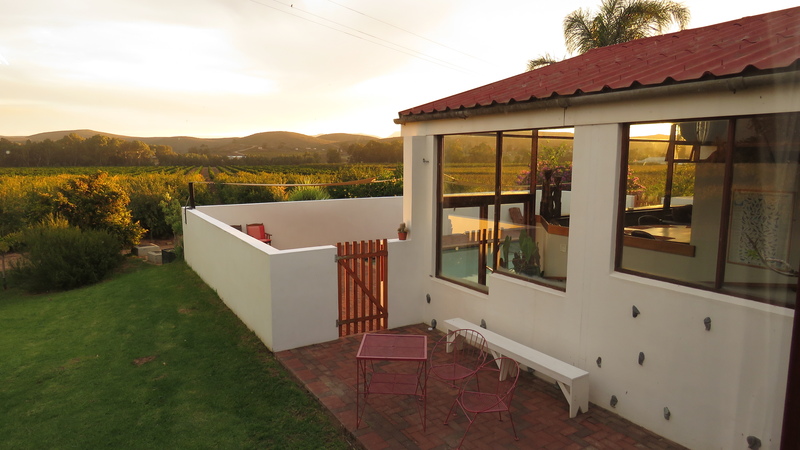 Only 8 km from Bonnievale and 40 km from either Robertson, Swellendam or Montagu. 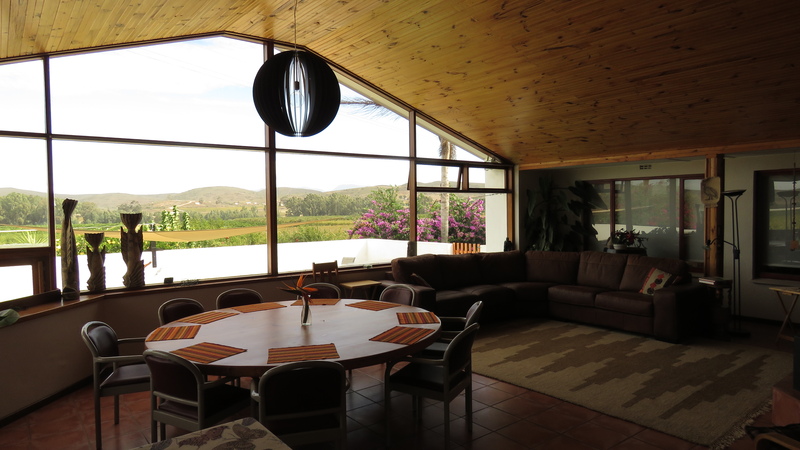 Within walking distance of the Breede River with picnic area under huge eucalyptus trees. Great place for fishing and bird watching. Long walks through pomegranate, plum and persimmon orchards.